I have the most decadent, moist, sinfully good cake for you today. My coworker Tami mentioned her mom made this cake with the frosting baked in the cake and I filed it in my head that I would need to make it soon. And I did. This cake is so moist I thought it may be undercooked. But it’s not. It’s just that moist. Bundt cakes are a favorite of mine. Eating them at least. I don’t make them as often as I should but when I do, I tend to want to eat the entire thing. That’s why I brought this one into the office and asked my coworkers to please take it home with them. I limited myself to one piece. Ok, two pieces and quit counting! All those who tried it loved it. I even heard it described as perfect. The only thing I would have done differently was to have a glass of milk with it. Although this isn’t a sponsored post, I did have to share that I used my new Hamilton Beach stand mixer to make this. And what made it extra great was that it has a fold setting that allowed me to fold in the frosting with no problem. You can enter to win one of two mixers on my Chocolate & Strawberry Shortcake Trifle post from earlier this week. In a stand mixer or large mixing bowl, add cake mix, eggs, water, oil, sour cream and pudding. Beat together for 2-3 minutes to incorporate. Fold in the coconut pecan frosting into the mix. Pour batter into the bundt cake pan. Place in the oven and bake for 45-50 minutes or until a toothpick inserted into the cake comes out clean. Let cool then invert onto a cake plate. Remove the foil wrap from the icing. Warm the chocolate icing in the microwave for :15 seconds. Stir. If needed, microwave for an additional :10 seconds. Drizzle chocolate on cake. I went light on the frosting because I knew the cake would be sweet enough without a lot of icing. 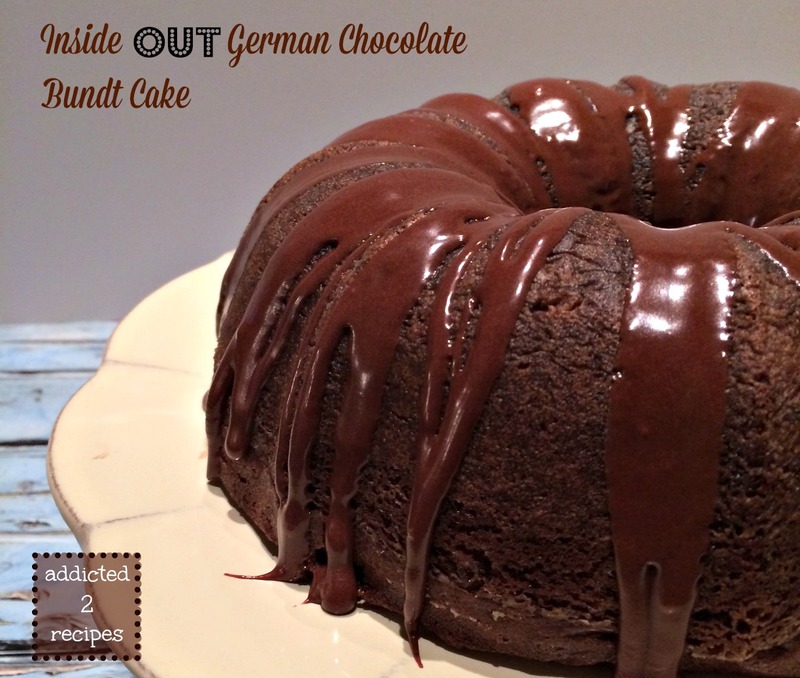 The Inside Out German Chocolate Bundt Cake is incredible - so good we were eating it for breakfast . . . and lunch . . . and afternoon snack . . . you get the idea! 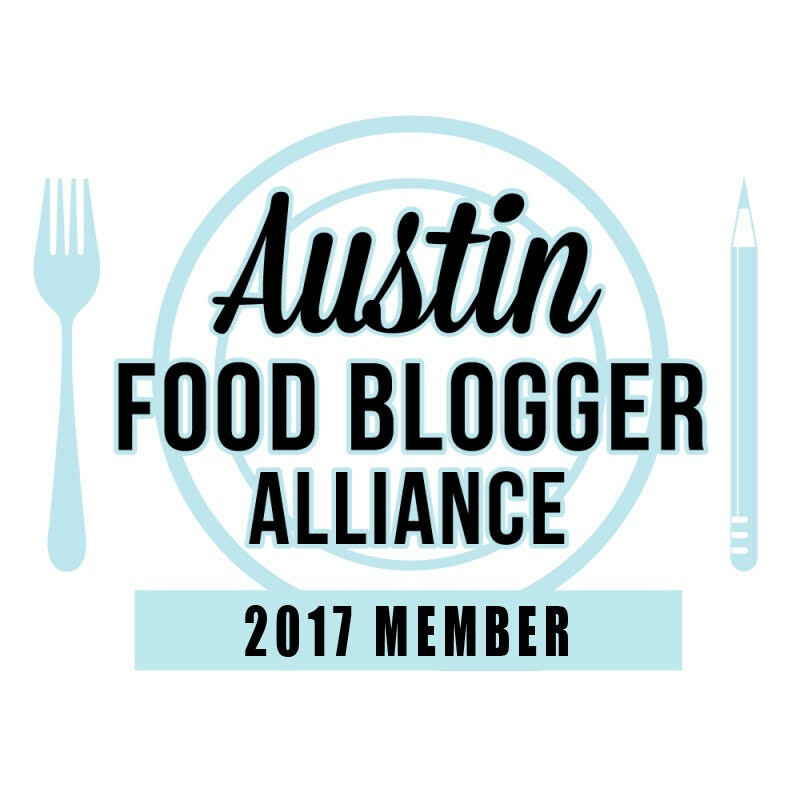 I am a new subscriber and you have some very good recipes posted but I can't get them to print out. Do you have any suggestions as to why I can't get the recipes to print? Thanks so much for sharing your recipes. Looking forward to trying many of them. By the way, I too, am addicted to recipes!!! Thanks Janet! I'm sorry they aren't printing out for you. I am slowly adding the recipes into a plugin that allows you to print. I will see what I can do to get it done quicker. Thanks again and I hope you enjoy the recipes!